Mobile applications have existed for years, but now have reached the tipping point and have become pervasive for traditional businesses. This means that mobile applications are not exclusive for technology oriented companies, but have now entered in 'brick and mortar' companies. For many sectors, mobile applications will even displace web and desktop applications as the main users. Mobile is a trend that here to stay, the numbers projected for Smart Phones in the near future are staggering. 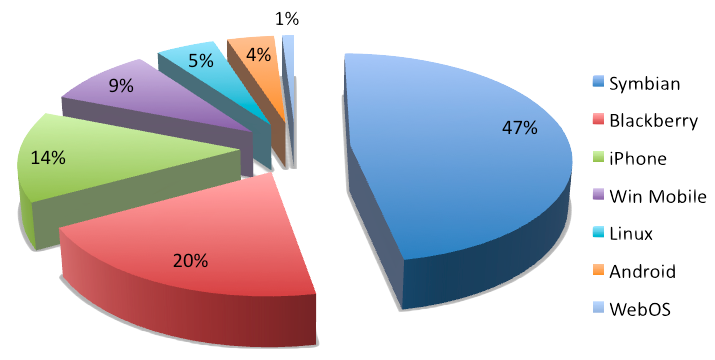 The current smartphone scene is highly fragmented, relevant platforms are Blackberry, iPhone and Android platform. However, traditionally it required to develop as many mobile applications as platforms you were to targeting. Which translates in additional cost per platform and increases the time to market. We believe business mobile applications should be developed once, tackling all mobile markets rather than separate fragments of it. Now you can say Good-bye to multiple apps. Mobile applications are an evolutionary business step from web applications. Furthermore the opposite is true where a mobile application might function as a way to test market and later grow into a full-service, fully featured Web Application. Therefore both Web and Mobile need to be built on a common technology platform, facilitating this process for businesses. 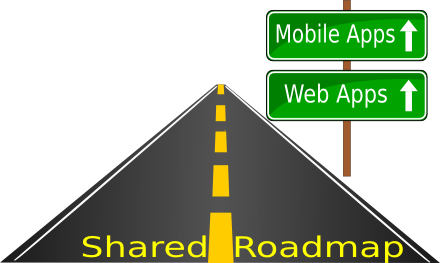 Having a shared roadmap for both avenues just makes sense. Any other way will is not making the best use of your investment. We bring the possibility of delivering a complete offering ranging from Web Apps to Mobile. Our process allows easily move each component from the web platform to mobile and vice-versa. We build applications using an architecture consisting of three main components: the data storage, the application business logic and the presentation layer. When an application is built our process allows to design an application architecture that is compatible for both the mobile and web platform. Our development process is compatible with either strategy you adopt for creating your applications: web and mobile, web only or mobile only. For mobile data that is captured and stored in the mobile device, we offer you the ability of seamlessly synchronize this data when the device is connected for fully integration into your web application or other web services. The mobile application built will NOT require an active connection in order to launch (as is the case with other "mobile-enabled" such as web applications accessed via mobile browsers). No unnecessary connection cost for your customers. Your application will execute locally in the SmartPhone and have a native look and feel of each of the targeted platforms.